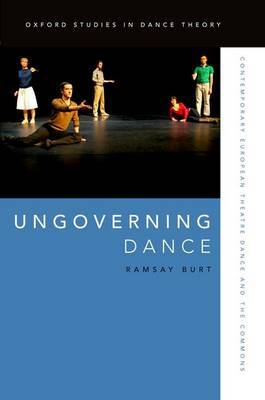 Ungoverning Dance examines the work of progressive contemporary dance artists in continental Europe from the mid 1990s to 2015. Placing this within its historical and political context - that of neoliberalism and austerity - it argues that these artists have developed an ethico-aesthetic approach that uses dance practices as sites of resistance against dominant ideologies, and that their works attest to the persistence of alternative ways of thinking and living. In response to the way that the radical values informing their work are continually under attack from neoliberalism, these artists recognise that they in effect share common pool resources. Thus, while contemporary dance has been turned into a market, they nevertheless value the extent to which it functions as a commons. Work that does this, it argues, ungoverns dance. Theoretically, the book begins with a discussion of dance in relation to neoliberalism and post-Fordism, and then develops an account of ethico-aesthetics in choreography drawing in particular on the work of Emmanuelle Levinas and its adaptation by Maurice Blanchot. It also explores ethics from the point of view of affect theory drawing on the work of Erin Manning and Brian Massumi. These philosophical ideas inform close readings of works from the 1990s and 2000s by two generations of European-based dance artists: that of Jerome Bel, Jonathan Burrows, La Ribot, and Xavier Le Roy who began showing work in the 1990s; and that of artists who emerged in the 2000s including Fabian Barba, Faustin Linyekula, Ivana Muller, and Nikolina Pristas. Topics examined include dance and precarious life, choreographing friendship, re-performance, the virtual in dance, and a dancer's experience of the Egyptian revolution. Ungoverning Dance proposes new ways of understanding recent contemporary European dance works by making connections with their social, political, and theoretical contexts.